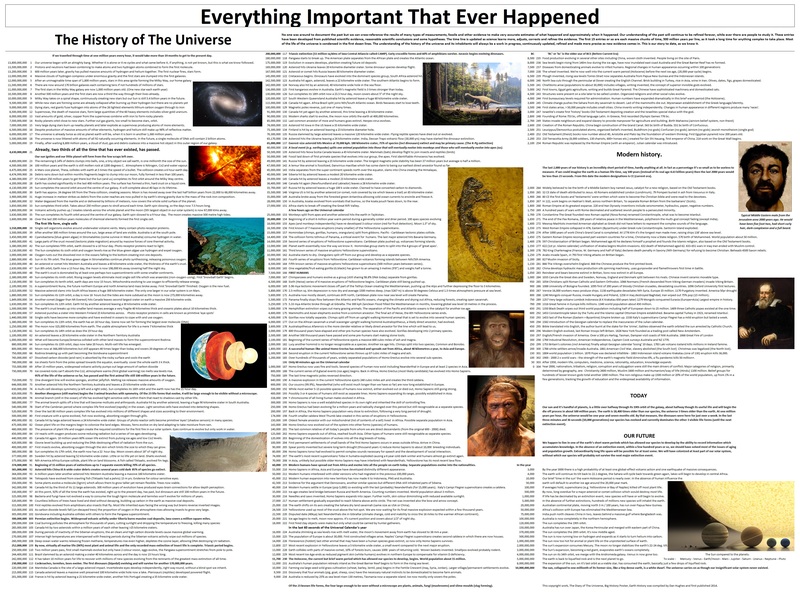 This is the latest edition of what many claim is the most comprehensive science poster ever. It’s a brilliant motivator for children, stimulating their natural curiosity and getting them excited about learning. A powerful educational tool, this poster allows students, science buffs and other perceptive individuals to see…….. This is just one section of what is a massive compilation of everything important that ever happened. History of the Universe. Everything Important That Ever Happened.